¡Hola a todos! Hoy os quiero hablar de una nueva aplicación: Wishbuuk. Es una plataforma donde puedes compartir tus deseos, tus gustos y todo aquello que quieras con otros usuarios o amigos. Es una forma de que conozcan tus productos y servicios favoritos a la vez que tu conoces lo de ellos. Además puedes enviar y recibir recomendaciones y todo ello dentro de sus categorías: moda mujer, moda hombre, deportes, cultura, joyería, etc. Hi all! Today I want to talk about a new application: Wishbuuk. It is a platform where you can share your desires, your likes and whatever you want with other users or friends. It is a way to learn your favorite products and services while you know what them. You can also send and receive advice and all within their categories: women fashion, men fashion, sports, culture, jewelry, etc. Pues es muy sencillo, si queréis pertenecer a la comunidad Wishbuuk, tan sólo tenéis que pinchar en el widget (en la columna de la derecha) de mi blog y crearos un perfil. It is very simple, if you belong to the community Wishbuuk, you only have to click on the widget (in the right column) of my blog and create you a profile. -Añadí el botón Wishbuuk a mi barra de navegación y una vez que estoy en la página del producto que me interesa hago click y lo agrego a mi lista. -Otra forma es copiar y pegar el enlace directamente. Podéis elegir la forma que más os guste para agregar vuestros productos. Además, las tiendas online asociadas, disponen de un botón en cada artículo de su catálogo para agregarlo a tu Wishbuuk. From there you just have to add items and services to your account. With each new product, your Wishbuuk is updated instantly and then your Facebook friends may go directly to the page where you chose the product. -Add my button Wishbuuk navigation bar and once I'm on the product page that interests me I click and add it to my list. -Another way is to copy and paste the link directly. You can choose the way that you like to add your products. In addition, the associated online stores offer a button on each item in your catalog to add to your Wishbuuk. Además, si te conviertes en Usuario Top, puedes ganar un viaje y 300 euros para tus compras, ¿cómo? - Añadiendo artículos de cualquier web. -Añadiendo artículos de otros usuarios. -Que otros usuarios añadan tus artículos. In addition, if you become a User Top, you can win a trip to 300 euros for your purchases, how? - Adding items from any site. -Adding items to other users. -What other users to add your articles. ¿A que esperas?, ¿Te animas a formar parte de la comunidad Wishbuuk? What are you waiting? 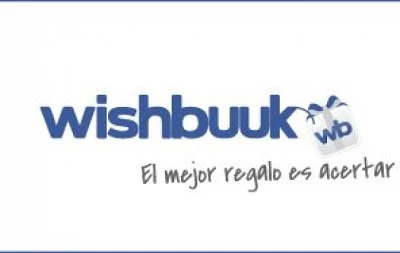 Maybe you can become part of the community Wishbuuk? Gracias a Ángela Villarejo de Socialmood por esta colaboración. ¡Hola a todos! Esta semana he vuelto a trabajar y me está costando volver a organizarme. Ahora tengo muy poco tiempo libre, hay mucho trabajo y apenas me da tiempo para nada. Por eso hoy he querido traeros diferentes formas de combinar los shorts con algunos de mis looks. Hi all! This week I returned to work and is costing me re-organized. Now I have very little free time, much work and I hardly have time for anything. So today I wanted to bring you different ways to combine the shorts with some of my looks. Cuando llevo shorts, procuro llevar blusas o camisas amplias y que no tengas mucho escote. When I wear shorts, blouses or shirts try to carry large and do not have too much cleavage. Mi forma favorita es llevarlos con cuñas o tacones, pero si me espera un día ajetreado, opto por sandalias o bailarinas. My favorite way is to take them with wedges or heels, but if I've got a busy day, opt for sandals or flat shoes.